Torque vectoring is the next step in AWD, its contribution being that it can get power to any wheel nearly instantly without having to use the brakes or cut power. Most current AWD control wheelspin by braking a spinning wheel or cutting the power from the engine. Torque vectoring is achieved by using redesigned differentials that can distribute power to the wheel or wheels that have traction. That means that wheels don't need to be stopped, and even better, you won't suffer from a sudden loss of power as you're negotiating an unexpected loss in traction. 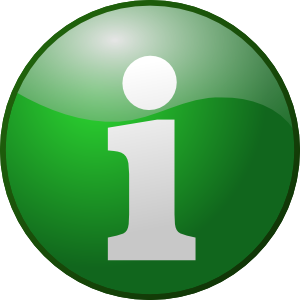 Some systems in use now or being developed work on FWD, RWD, and AWD cars, and can get power to any wheel or combination of wheels. the engine torque to the left and right wheels. The resulting difference in driving torque between the left and right wheels generates the yaw moment. This control, therefore, cannot effectively generate the yaw moment during cruising or deceleration when the engine torque is not large enough. The lateral torque vectoring control transfers the torque from the left wheel to the right wheel, and vice versa, to generate an amount of braking torque on one wheel while generating the same amount of driving torque on the other wheel. The control of this type, therefore, can generate the yaw moment at any time regardless of the engine torque. Another advantage is that it does not affect the total driving and braking forces acting on the vehicle: no conflict with acceleration and deceleration operations. Although this control affects the steering reaction force when applied to the front wheels, it does not produce any adverse effects when applied to the rear wheels. Torque transfer is up to 100%. 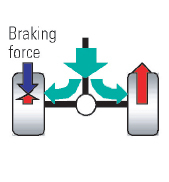 The lateral braking control applies different braking forces to the four wheels independently so as to produce a difference in braking force between the left and right wheels, which generates the yaw moment. As this control uses braking forces, it feels to the driver like deceleration, but the control is effective because it can generate yaw moment under a wide range of conditions of vehicle operation. Unlike passive EDL which applies the brakes to the wheel where it senses slippage, this is an active torque distribution where the torque is sent to the outside wheel to improve turn in. Torque transfer is limited to 50%. 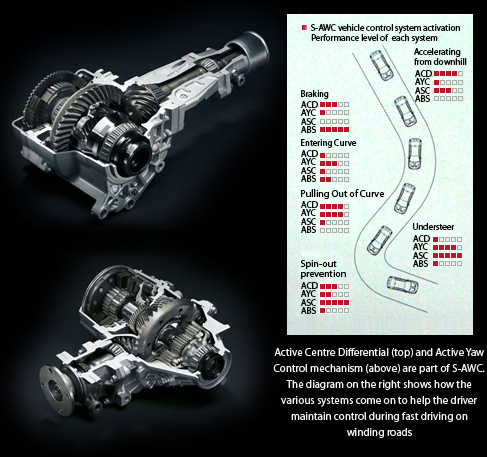 S-AWC integrates management of its Active Center Differential (ACD), Active Yaw Control (AYC), Active Stability Control (ASC), and Sports ABS components, while adding braking force control to Mitsubishi Motors' own AYC system, allowing regulation of torque and braking force at each wheel. 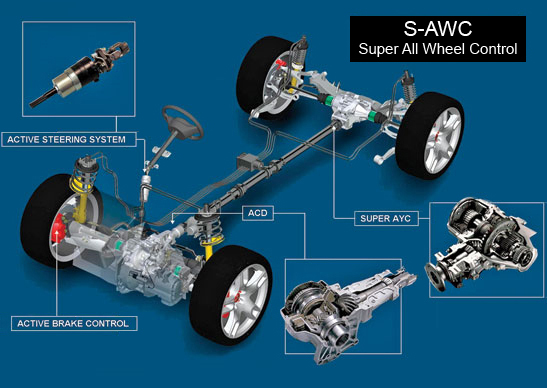 S-AWC employs yaw rate feedback control, a direct yaw moment control technology that affects left-right torque vectoring (this technology forms the core of S-AWC system) and controls cornering maneuvers as desired during acceleration, steady state driving, and deceleration. Mitsubishi claims the result is elevated drive power, cornering performance, and vehicle stability regardless of driving conditions. Honda’s SH-AWD system does not have any center differential or any limited-slip differential. The active type differential is mounted at the rear axle. The drive from propeller shaft first sent to an accelerator. The accelerator uses planetary gears to increase the rotation speed, creating a speed difference between the input and output. 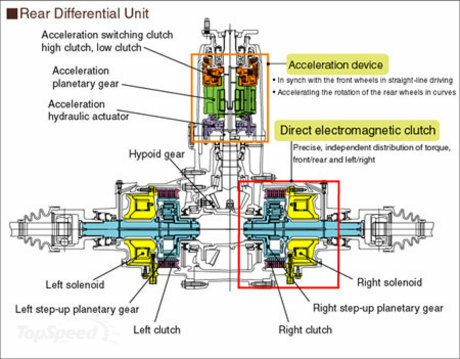 The speed difference can transfer driving torque to the rear axle utilizing electromagnetic clutches. Super Handling-All Wheel Drive or SH-AWD is a full-time, fully automatic all-wheel drive traction and handling system designed and engineered by Honda Motor Company. The system was first introduced in the North American market in the second generation 2005 model year Acura RL, and in Japan as the fourth generation Honda Legend. The company describes SH-AWD as a system that provides cornering performance that responds faithfully to driver input, and outstanding vehicle stability. The SH-AWD system combines front-rear torque distribution control with independently regulated torque distribution to the left and right rear wheels to freely distribute the optimum amount of torque to all four wheels in accordance with driving conditions. 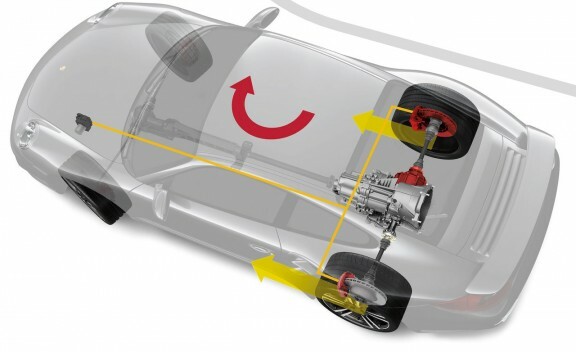 As first implemented in the Acura RL, SH-AWD allows torque to be continuously distributed between front and rear wheels from 70% front/30% rear to 30% front/70% rear, with up to 100% of the rear power being distributed to the outer left or right wheel to assist in cornering and dramatically reducing understeer. For example, in straight line full throttle acceleration, the RL is capable of distributing 40% of torque to the rear wheels and 60% to the front wheels. In a hard turn, of percentage of power distributed to the rear wheels, up to 100% of the rear wheel power can be distributed to the single, outer rear wheel. This action will push the rear around the corner, and helping with steering, reducing understeer and keeping the car balanced and controlled. The effect can be likened to steering in a row boat where applying more power to one oar can turn the boat. Torque-vectoring diffs have been around for a while, and the new system that has been introduced on the S4 will migrate to other performance models imminently, says Audi. If you want the clever rear diff on an S4 you’ll need to specify the $2000 Drive Select system plus an extra $1000 for the Sport Differential itself, supplied by German company ZF. The rear differential at the heart of the BMW xDrive all-wheel drive system used in the X6, X6 M and X5 M goes beyond maintaining forward motion in adverse weather. This is a differential with brains - one smart enough to lend a helping hand in extreme cornering maneuvers. The version of xDrive in these BMWs includes a capability called Dynamic Performance Control whose purpose is to contribute what is called a yaw torque. To understand yaw torque, visualize a scale-model car with a toothpick stuck vertically through its roof. Spinning the tooth pick between your fingers mimics the vehicle’s yaw motion - movement about its vertical axis - experienced during cornering. In this example, your fingers supplied the torque that produced the yaw motion. All four tires generate the lateral forces that cause a vehicle to track around a corner in response to a driver’s commands at the steering wheel. Together, those four forces yield a yaw torque. 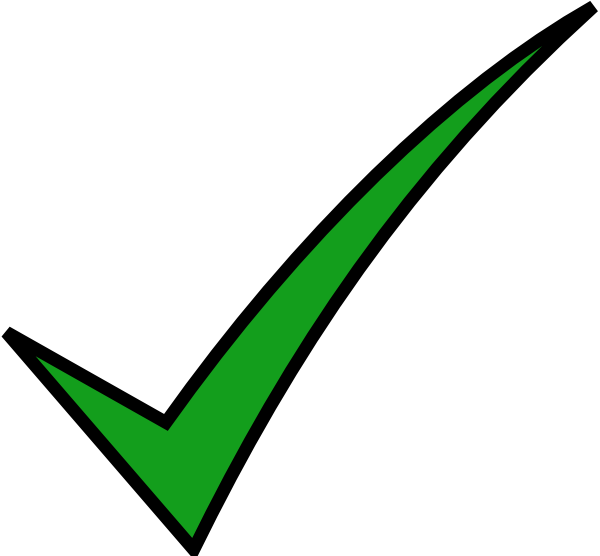 But some tires work harder than others; in a front-heavy vehicle, the right-front tire does most of the work guiding the vehicle around a curve to the left. Dynamic Performance Control pitches in once the hardest-working tires have reached their traction limits. This added yaw torque - essentially an extra nudge to help the vehicle complete the cornering maneuver - is generated at the rear. 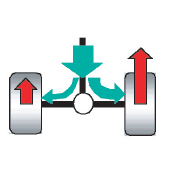 By forcing the outside rear tire to push forward while the inside-rear tire pulls back a bit, a helpful turning force is generated about the imaginary vertical axis. What accomplishes this is the device, called Vector Drive by its German maker, ZF, is controlled by a computer that keeps abreast of the vehicle’s every move through speed sensors positioned at all four wheels. When cued by the computer, a planetary gearset inside the differential temporarily changes the speed ratio between the left and right wheels from the normal ratio of 1:1 in straight-ahead driving to 1.25:1, the outboard wheel strains to speed up while the inboard wheel strives to slow down. The resulting push-pull is the yaw torque that supplements cornering forces normally generated by the tires. It is like a bulldozer, which turns by changing the relative speeds of the tracks on each side. The beauty of this arrangement is that it works independently of the BMW’s propulsion system. Whether the driver is accelerating, braking or coasting through a tight turn, this computer-controlled differential is always on call to add a yaw-torque contribution. The Torque Vectoring Brake in the 2009 S-Class Mercedes Extra provides additional safety and agility, by applying one-sided braking at the inside rear wheel when cornering. If ESP detects understeer, the new Torque Vectoring Brake generates a defined turning or yawing moment around the vehicle's vertical axis within fraction of a second. The resulting different torque distribution allows the S-Class to turn into the bend under precise control without loss of handling dynamics. 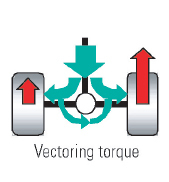 The advantage of this solution over more complex mechanical solutions such as additional multi-disc clutches, an active rear axle steering, or an active differential: the Torque Vectoring Brake can be implemented with no extra weight.The disadvantage is that the torque transfer is limited to 50%. The S-Class steers more precisely when cornering thanks to targeted braking intervention at the inside rear wheel. According to Mercedes-Benz, the new 4MATIC all-wheel drive technology is integrated with a standard Electronic Stability Program (ESP), which maximizes the system's effectiveness in corners and in wet or slippery conditions, 4MATIC is always engaged and optimizing torque in every wheel. And to help ensure that power translates into control, 4MATIC incorporates our 4-wheel Electronic Traction System (4-ETS), an advance that monitors for the first sign of wheel slip and adjusts power delivery accordingly. By continually ensuring that power is evenly distributed among only those wheels with grip, 4MATIC can help keep the vehicle moving and under control even if only one wheel has traction. A new feature is an optional feature called Porsche Torque Vectoring. Priced at $1300, PTV uses the ability to apply the brakes individually to help the car turn into corners. Based on steering angle, vehicle speed, throttle position, and yaw rate, PTV gently applies the brake on the inside rear wheel to minimize understeer while entering corners. The system starts to phase out above 75 mph and is completely inactive by 100 mph.